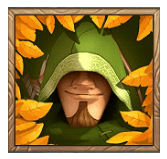 When you know the story of Robin Hood you will agree with us that this is a perfect theme for an online video slot. According to many stories, this English folk hero would steal from the rich and distribute it among the poor. This is also often the case with major drug lords such as El Chapo and Pablo Escobar. 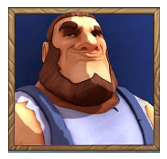 They are also seen as a people’s hero among the poor. The Robin Hood Shifting Riches slot machine is based on Robin Hood and can be played on every online casino with NetEnt software from 10 September 2011. In this article we tell you everything about this NetEnt slot. If you do not feel like reading our slot review, you can scroll down to view our top 10 accredited NetEnt Casinos. How does the Robin Hood Shifting Riches slot work? 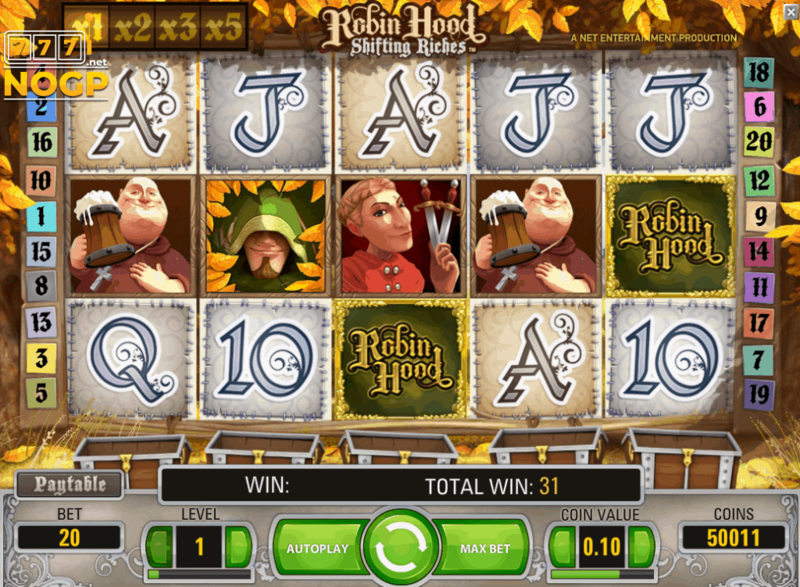 The Robin Hood Shifting Riches slot has a Shifting Reels feature. With each winning combination, the reels will move to the right, and a multiplier will be awarded that can be up to five times. 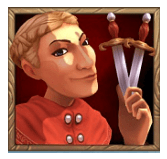 Robin Hood Shifting Riches free spins feature. 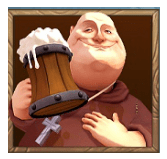 Perhaps you have already noticed, but there is a treasure chest under each role. 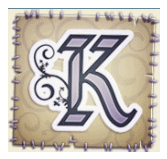 To activate the free spins, the player must collect bags of money. 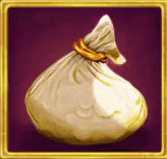 Does a bag of money appear on one of the rolls? 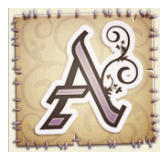 Then it is placed in the treasure chest of the corresponding role. With four bags of money in one treasure chest, the free spins feature is activated and the player gets some nice extras. 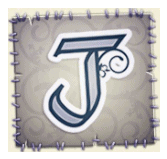 For example, a high-value symbol is selected in advance, which will serve as a Wild symbol throughout the free spins session and a Free Spins symbol will play on the third, fourth and fifth reels. 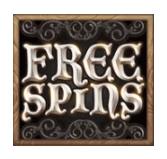 When the player manages to land two or three Free Spins symbols, 5 or 10 free spins are awarded. 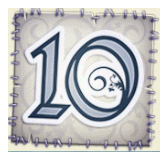 In addition to the Wild symbol and the money bags symbols, this NetEnt slot also has ten regular symbols, five of which are high-value symbols consisting of Robin Hood himself and some members of the Merry Men who helped him steal the gold from the rich, such as Lady Marian, Little John, Friar Tuck and a knight. 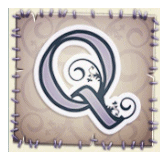 The five low-value symbols consist of A, K, Q, J and 10. The values of the symbols can be viewed below. 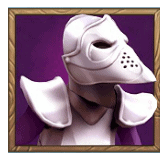 The Robin Hood Shifting Riches slot can call itself one of the oldest online slots of NetEnt. Time and time again, the Robin Hood slot machine has survived several cleanups of NetEnt. This NetEnt slot can be played since 2011 and there is no NetEnt Touch® version yet. That makes several alarm bells ringing because how long this slot machine – which can only be played on desktop – is still in the game range of NetEnt? We think it’s weird that this video slot has not yet been modernized and we also wonder how long it will still be playable. We think it’s a nice video slot and if you didn’t know better, you would think that this anno 2019 has been developed. 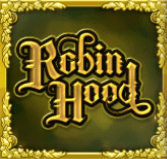 We hope that the Robin Hood slot will get a modern twist instead of disappearing from the NetEnt game range. The Robin Hood Shifting Riches gets 3.9 out of 5 stars from us. Play the Robin Hood Shifting Riches slot..